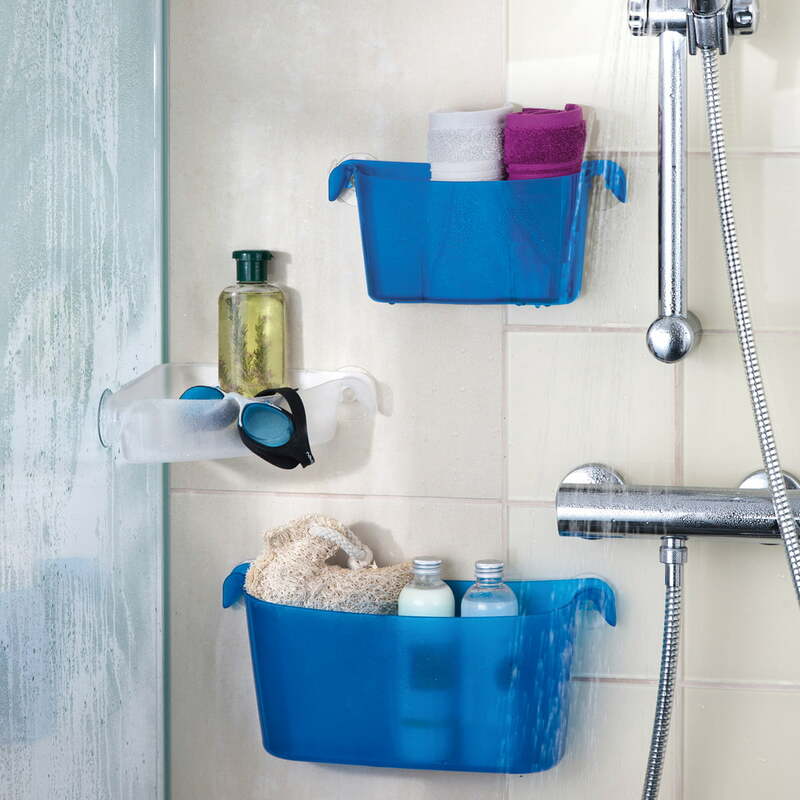 Miniboks takes up all the small things, such as brushes and makeup items, tubes and bottles and all the things that should remain organized. Everything remains cleanly organized in the Utensilo by Koziol because of the division into compartments. Miniboks has suction cups to be fixed – they are safe and make screws unnecessary. That's how Koziol also made the Miniboks Utensilo mobile, so that it can always hang where it is needed. In the kitchen for example. The Miniboks is slightly transparent, shock resistant and extremely stable because of the styrolux it is made of. A bigger edition of the Koziol Utensilo named Boks is also available. 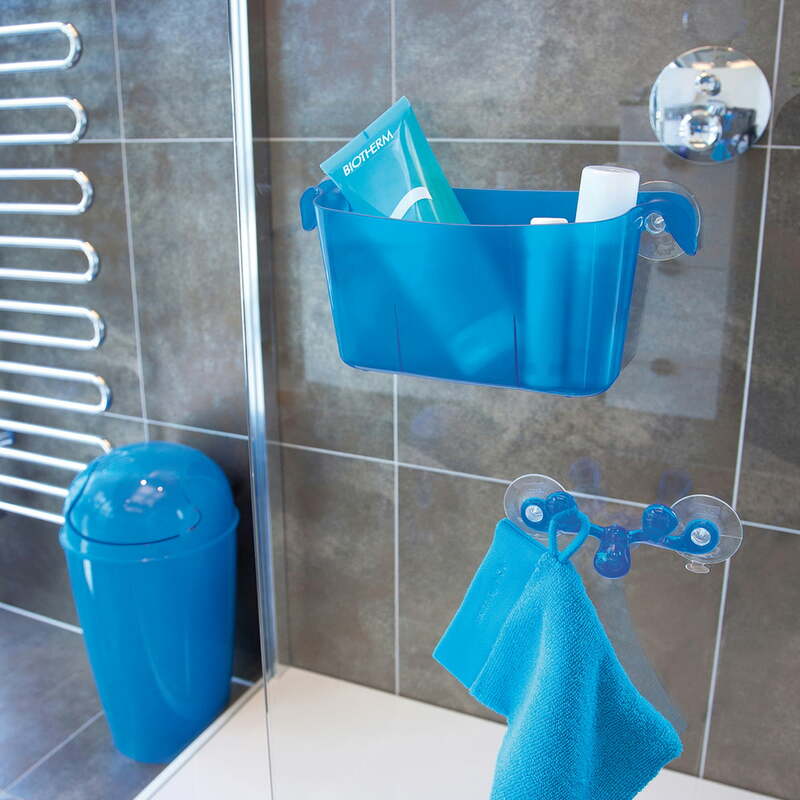 With the storing baskets by Koziol, shower gel, shampoo and further showering accessories are directly and style-consciously placed in the shower. 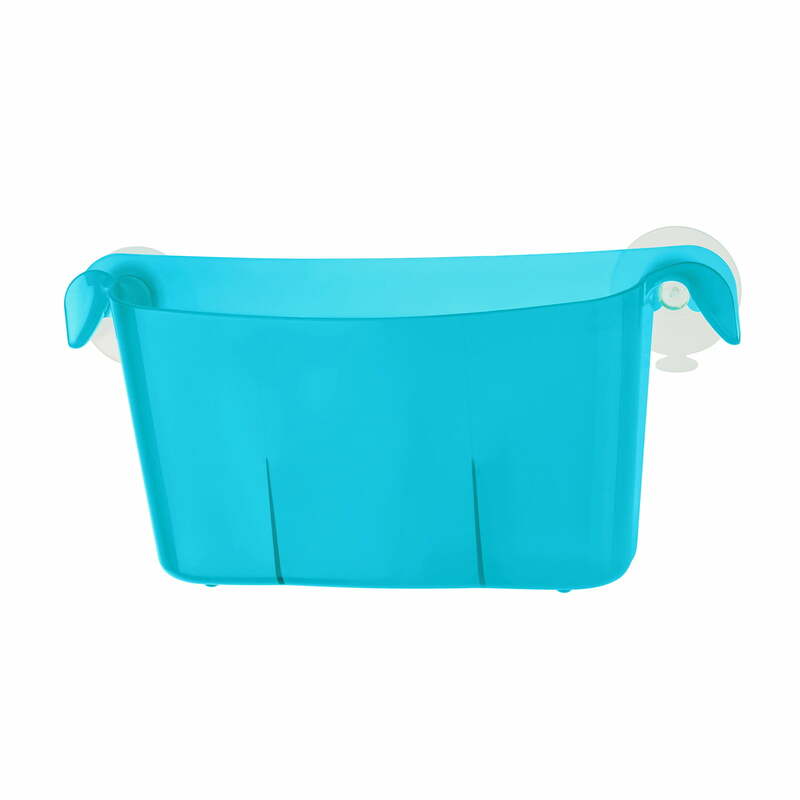 Boks Corner Utensilo in transparent-clear, Miniboks Utensilo and Boks Utensilo in transparent- Caribbean blue take care of and well-organised design ambience in the bathroom.